GBCPR provided PR services to the Primary Immunodeficiency Association (PiA) and also for the ‘Is it PID?’ Campaign endorsed by the PiA and supported by an educational grant from Bio Products Laboratory (BPL). The consultancy provided a remote media relations and press office service, coordinating speedy relevant responses to enquiries and generating relevant media exposure. We worked closely with the client to identify likely material to be disseminated to appropriate audiences, serving to increase interest in the patient charity and its work. Using our established in-house journalistic and PR skills, patient case studies were used in press materials generated by the press office. Press materials generated were posted onto the PiA website as remote access was granted. 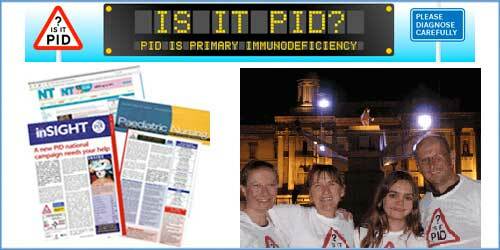 Coverage achieved for the ‘Is it PID?’ campaign was also posted to its website.